This year’s rules and guidelines for The National Norwegian-American Folk Art Exhibition are available! You can view and print them here. From the viewing page, you’ll find the link in the upper left corner to download and print them. Mark your calendars for the entry dates—May 1-22, 2019! This year, we are introducing a new option of filling out the registration information online here. You will still need to include identification labels and entry fees with your shipped artworks, but if you enter information digitally, you will not need to complete those sections on the printed form. As the new Director of Folk Art Education at Vesterheim, it is my pleasure to roll out the official rules and guidelines for this year’s National Norwegian-American Folk Art Exhibition. Vesterheim has hosted and organized this exhibition for over 50 years. The exhibition is connected with Vesterheim’s Folk Art School, whose mission is to embrace, nurture, and carry forward these strong folk-art traditions. Our programming efforts are designed to serve a large community of folk artists, both developing artists and Gold Medalists alike. Your entries inspire our programming, and we hope our programming continues to inspire you to create! This year we are accepting two items per category, and the entry fee is $20 per piece. All submissions that are eligible for ribbons will receive comments from the judges in video form. Last year was the first time we tested the video comments, and participating artists found them very helpful. This year, we are introducing a new option of filling out the registration information online here. You will still need to include identification labels and entry fees with your shipped artworks, but if you enter information digitally, you will not need to complete those sections on the printed form. Our goal is to move all registration to an online format in 2020 (knowing that accommodations will need to be made for artists without digital options). Thank you for helping us test this new process! Since this is my first year in this position and first year hosting this event, I look forward to providing you with valuable feedback and to receiving your helpful feedback in return. I’ll be learning alongside you! Best wishes! 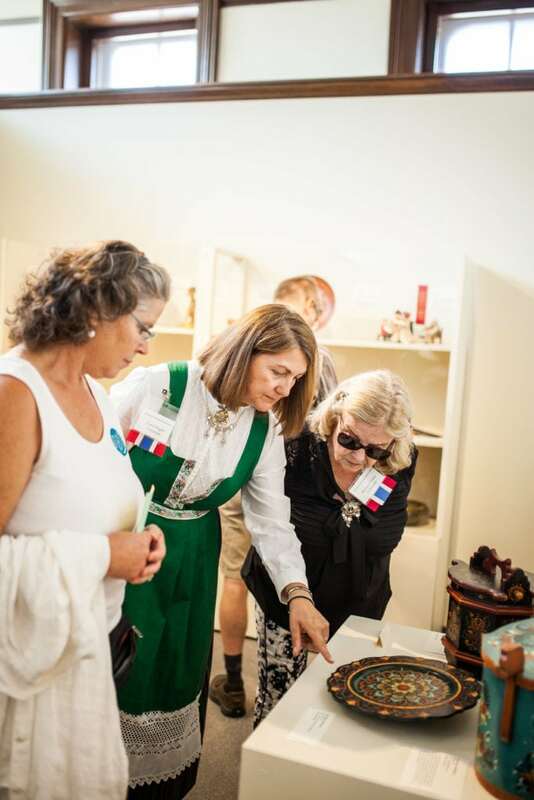 We are excited to see your work in the 2019 National Norwegian-American Folk Art Exhibition.